Among the many emergencies that can happen in a home or business place, one of the most difficult to deal with is septic system breakdown. After all, anyone would panic upon having a stinking mess with clogged toilet or sewage backup into the property. Fortunately, VAC-TEC LLC. is here to help you out. Our company provides residential and commercial emergency septic repair services in Yelm, WA. We are available 24 hours a day, 7 days a week to fix septic problems. No matter when in the day or night you find your septic system to be out-of-order, do not hesitate to give us a call. We have our technician on call at all times to meet emergency septic repair needs of Yelm residents. We conduct a detailed septic system inspection to determine your exact emergency septic repair needs and proceed accordingly. The septic system installed in your home or business place must be the last thing on your mind. But, you must give it a thought every few years when it is time for septic tank pumping. If you neglect to get the septic tank emptied and cleaned in time, you may find when you least expect it that the septic is overflowing. You will have to rush then for emergency septic pumping & cleaning services. Call us! 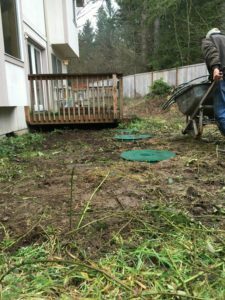 Whether you call us for routine or emergency septic pumping & cleaning in Yelm, trust us to do the job meticulously and meet the highest quality standards. 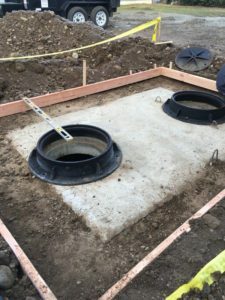 We do not just restore the septic system temporarily, but ensure comprehensive septic tank cleaning that makes the tank good to use for years to come. To schedule emergency septic repair or emergency septic pumping & cleaning job in Yelm, call VAC-TEC LLC. at (360) 338-6686.